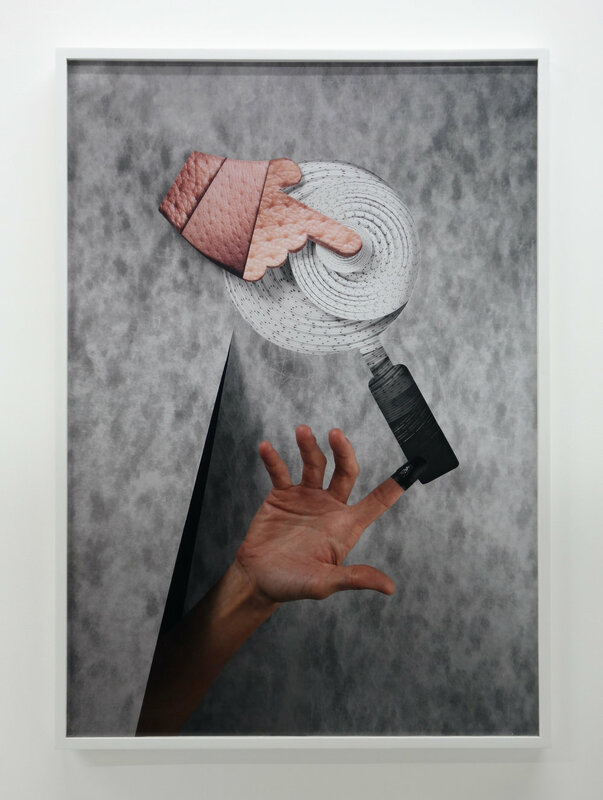 Resort is pleased to present Noise Margins, a group exhibition featuring Jennifer Grimyser, Marisa LaGuardia, Natan Lawson, Joshua Caleb Weibley and Grant Wells. Noise Margins brings together five artists whose work uses or references technology and digital aesthetics as they’ve become universal and historicized. Pixels, clip art, posterization, plotters, digital compression, and image editing software, each with its own associative stylings, exist in a collective visual history. Unlike art history, this immediate past is a shared experience, applied to office work, the dissemination of information, and creative vocations alike -- A relatable reference to mine and subvert. These act as outmoded points in the arc of technological development, and carry with them an inescapable set of practical affiliations with cubicle culture and early computer design. 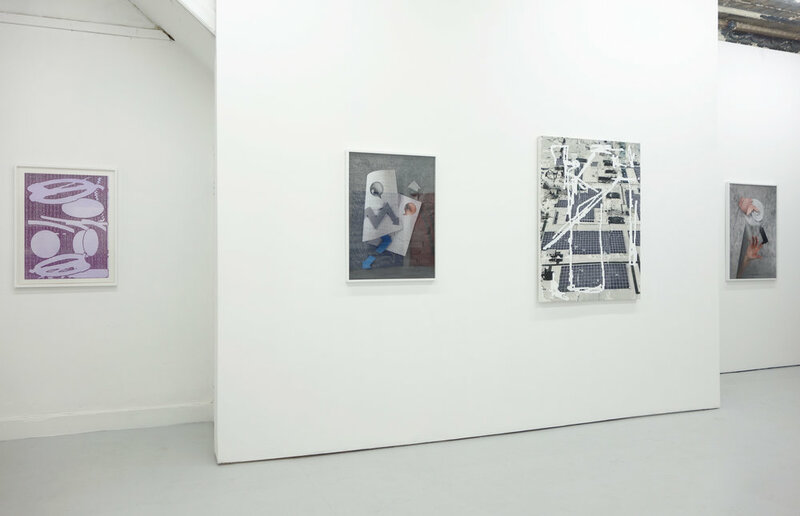 Starting from the point of utilitarian expectation, these artists move past the notion of the digital as novel, presenting it instead as a tool, while referencing its role in visual culture and communication. Jennifer Grimyser is an artist based in Brooklyn, NY. She received her MFA in Photography from Hunter College and her BFA from Maryland Institute College of Art. She has presented solo exhibitions at Ground Floor Gallery, Guest Spot the Reinstitute, Bronx River Arts Center and Solo(s) Project House. Her many group exhibitions include Cindy Rucker Gallery, Present Company, Sadie Halie Projects, Kunsthalle Exnergasse and Islip Art Museum. Her work has been featured in Neesh Magazine, Possible Press, Locus Magazine, and she is working on a photo essay for an upcoming issue of Zing Magazine. Her works combine digital photography and hand-made collage. Layered in shallow space, her work draws on the language of infographics and blurs the line between analog and software enhanced design effects. Marisa LaGuardia is an MFA candidate in Painting at the University of Texas at Austin. She received her BFA from Maryland Institute College of Art in 2014. Her work has been included in group exhibitions at Current Space, Platform Gallery and Fleckenstein Gallery in Baltimore, MD and at 3200 Dancy Street in Austin, Tx. Her new works utilize grid structures, posterization and layering to abstract and cannibalize motifs in her own work beyond recognition; pared down to crisp, formal elements. Natan Lawson is an artist based in Baltimore, MD. He received his BFA in Painting from RISD in 2015. His intricate works on paper and canvas are created via a back and forth between digital and analog processes. Drawings and found imagery are scanned and edited in digital form, and sent through a modified digital vinyl cutter, adjusted to hold felt tip pens, paint brushes, markers and airbrush tools. These pieces are slowly rendered through a gridded plotter, adding density and manually adjusted color selection to the original image. 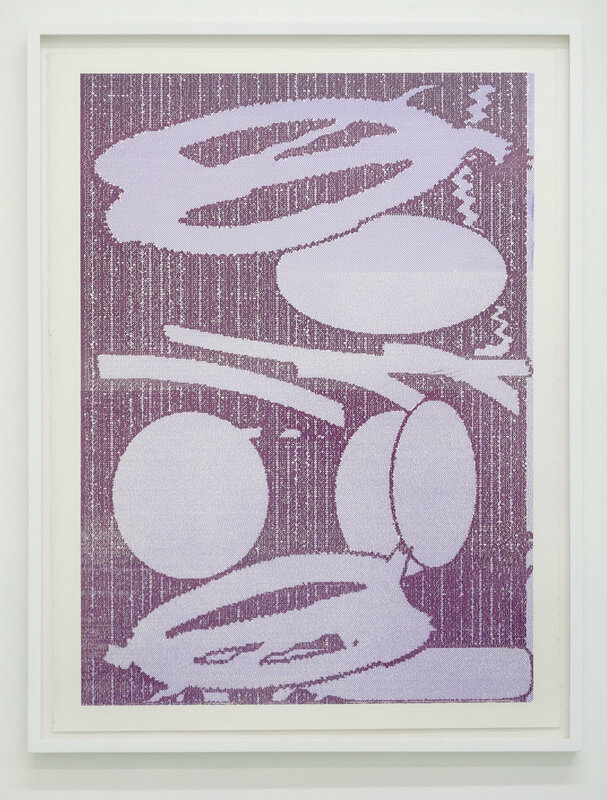 Once a digital file, Lawson’s imagery is reused and recombined in shifting scales and color palettes, but each individual piece is unique. Joshua Caleb Weibley is an artist based in Brooklyn, NY. He received his BFA from Cooper Union in 2009. 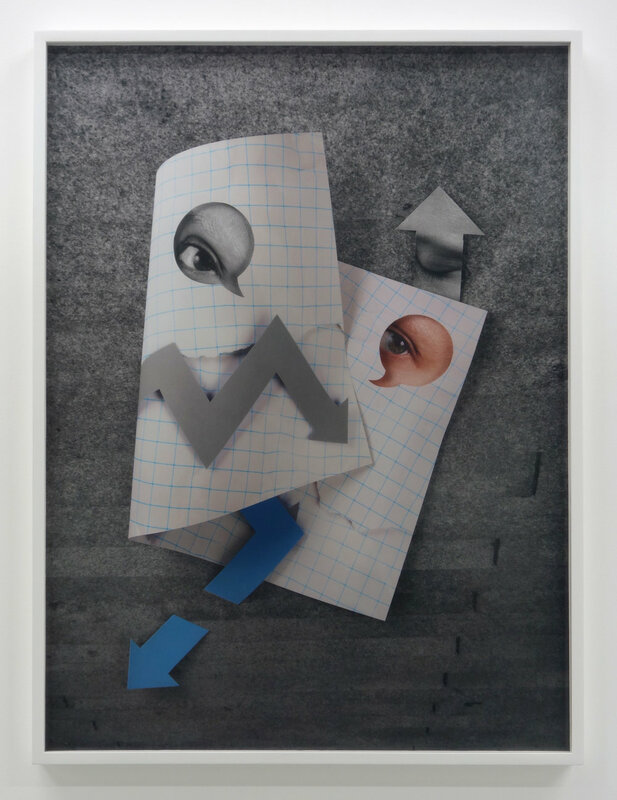 His conceptual works are comprised of digital photography, printing, drawing and sculpture. Pieces that appear minimal are culimations of multistep processes and meta connections between material and subject. 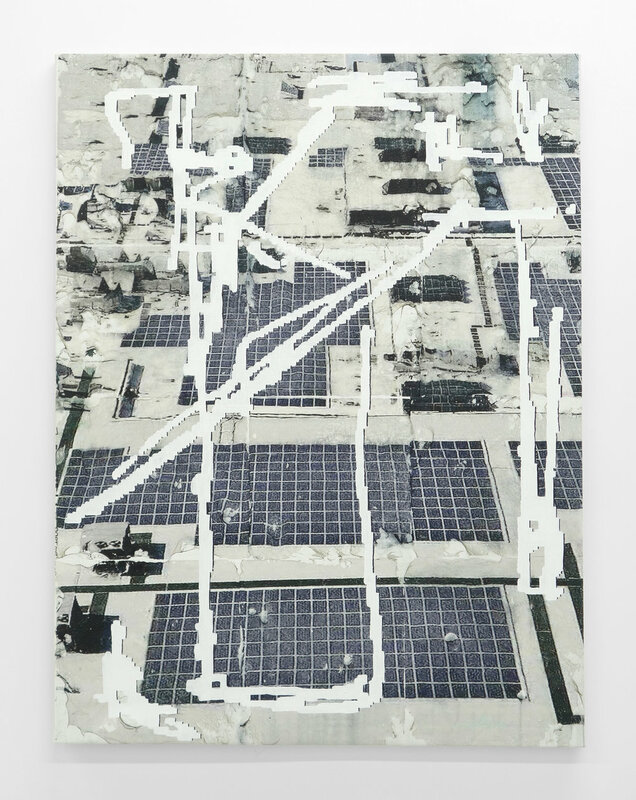 His work has been exhibited in group shows at Klaus Von Nichtssagend, Miyako Yoshinaga Gallery, Et Al Projects, Eyebeam, and Vox Populi. Grant Wells is a Hunter MFA Candidate based in New York, NY. He received his BFA in 2015 from the University of California, Santa Cruz. His work has been exhibited in group shows at Nomadic Gallery, ARO Gallery, Manifest Gallery and Sesnon Gallery. His work combines photo transfer and hand-painted gestures. 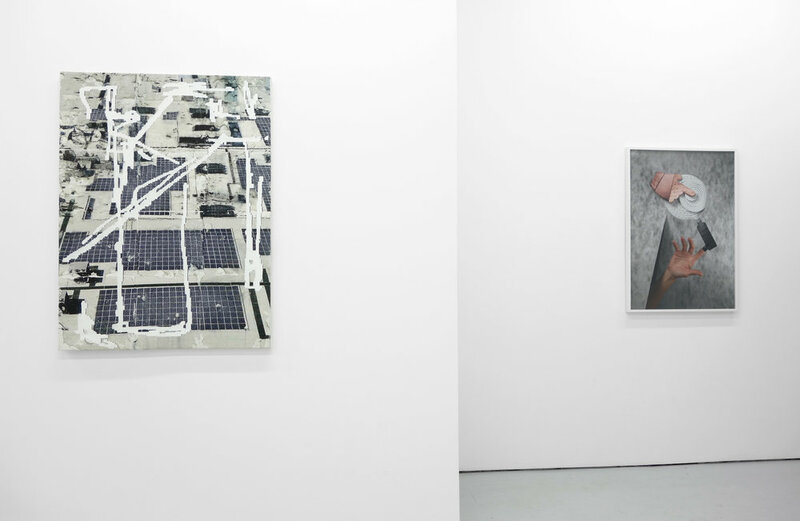 Larger paintings are made up of grids of smaller, repeated images, often internet-sourced aerial photographs of suburban landscapes and construction sites.